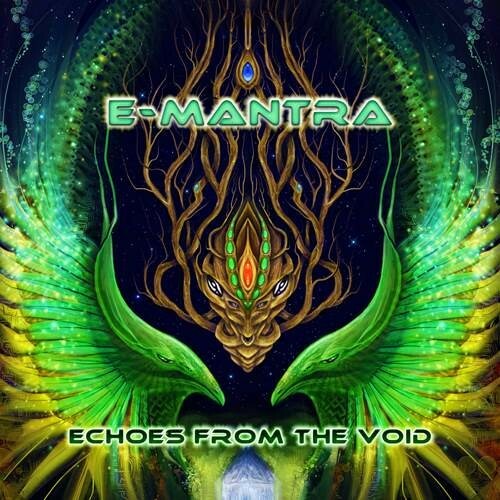 "Echoes from the Void" is the new opus from the master of psybient Emanuel Carpus aka E-Mantra. In this album Emanuel has pushed his ideas farther to generate greater depth within his newest creation. He set out to paint a story through spectral frequencies, beautiful vocals and wistful melodies. With our emotions invoked while listening to "Echoes from the Void," immediatly we see ourselves on the dance floor. Rising inside feeling unable to stand still because Emanuel's sound has enveloped you. Having the quality we have come to expect, you will find this album is filled with greater rolling basslines and builds to a faster bpm throughout the album. More so than his previous 3 psychill /GoaChill albums on Altar Records. Those who have come to know and enjoy the slower beats of classic E-Mantra style, will enjoy this album. It starts out gently in psychill, evolving ever so gradually onto more deeply progressive progressions. All of this being unique to E-Mantra as he continues to craft what inspires him, aka Night Hex nowadays, in the studio.. Thank you E-Mantra for the chance to let us enter your single world of magic!